All of our wearable glass memory lockets are stainless steel so they can take quite a bit of abuse, but they are not indestructible. With proper care you should get many years of use out of your memory locket. Be gentle when opening your locket and don’t force it too far open or the hinge may get weak or break. Handle your memory locket with care as it contains real glass. The glass in the lockets is quite sturdy but can still crack with the right impact. I have been glad that even though I have dropped my memory locket on my hardwood floor more than several times, it is still intact. 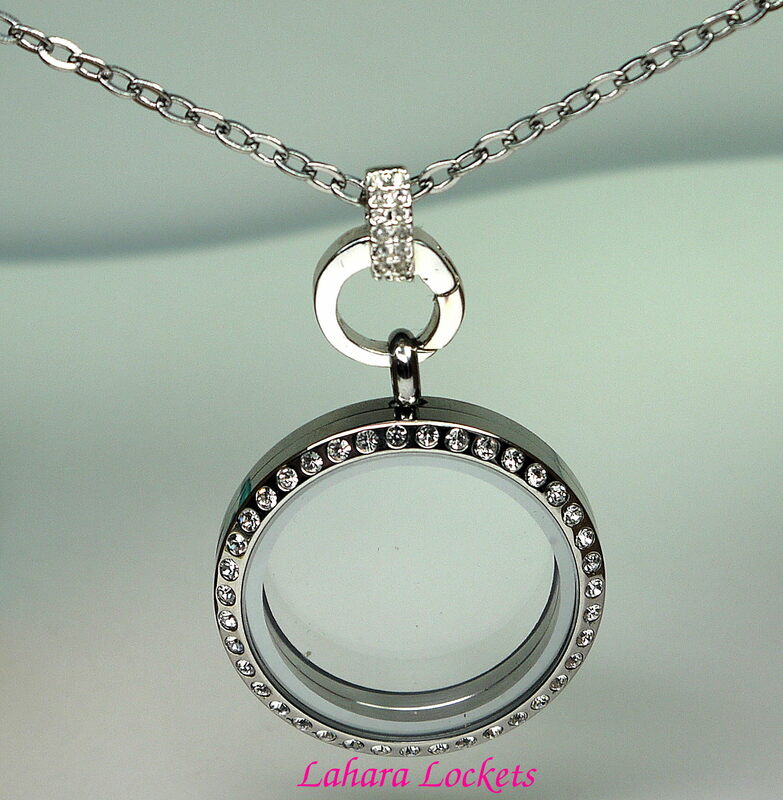 Avoid wearing in water as the lockets are not waterproof and water will get inside. If this happens, remove charms and keep locket open until dry. If needed, clean with a soft, damp cloth and air dry. Avoid getting any beauty products or harsh cleaning supplies on the locket. Rub with a dry polishing cloth to restore the shine. Enjoy having a memory locket that is as unique as you!